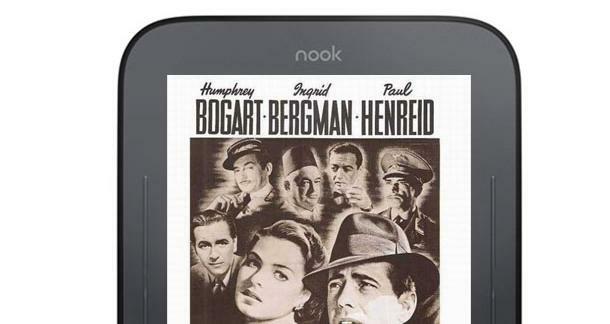 Warner Brothers Digital Distribution is gearing up to release the screenplays of four iconic movies as eBooks. Digital copies of the scripts for Casablanca, Ben-Hur, An American in Paris and North by Northwest will retail for $10 a piece, and come bundled with historical documents. Casablanca, for example, will also feature "producer Hall Wallis’ production notes and studio chief Jack Warner’s telegrams and memos," according to the Wall Street Journal. The move follows a crackdown by movie studios on websites that are running free-to-download PDFs of movie scripts. You can learn more about that conflict at this link (in a post written by Scott Myers who is, incidentally, teaching a screenwriting class for us). This sounds like a common sense move, and I'm a little surprised studios aren't already doing this. Are they not already doing this? Ten bucks seems a little steep for just a script, but if it's coming with supplemental material, maybe that's enough. Do you think that's a fair price point? I think this is a great idea, actually, especially since it's usually hard to find scripts at traditional bookstores. This will be really helpful for film studies students, I think. It's really difficult to write papers about movies and try to quote them when you don't have the script on paper. I don't think $10 is a bad price at all. Ten bucks is a little too much for a script in an ebook format. It's pretty steep for most normal novels, but a screenplay is usually 120 pages, if that, and is more in line with a novella content-wise. I wouldn't pay ten dollars for most novellas. Good idea, but very greedy. That would have to be some good supplemental material. It is dangerous to quote scripts anyway. What it says on the page isn't always what made it to screen. Yeah, it's a great idea for scripts...but agree that it's a tad too pricey.